The amazing power-saving box of nothing! I wrote, in 2010, about the miraculous Keseco Current Improvement System. It's a power-saving device that's claimed to work because of, in brief, technologies unknown to science. I like this kind of power-saving box. Most power-savers are claimed to be some sort of power-factor corrector. Ones like the Keseco devices that're supposed to work by "rotating electromagnetic waves" or "non-Hertzian frequencies" are more fun. They still don't work, but at least they're more original. When I saw a new comment on the Keseco post today, I presumed it'd be one of the spammers who occasionally get through the net and spray ads for handbags or wristwatches all over my old posts. If it's all the same to you, unnamed Energita representative, I'll just wait for this miraculous device to make you the billions of dollars you so richly deserve. Then I'll be able to learn about it from, say, the paperwork for the Nobel Prize the Keseco designers have won, or the sticker on the side of the Keseco box that I, like everyone else in the world, will have purchased. 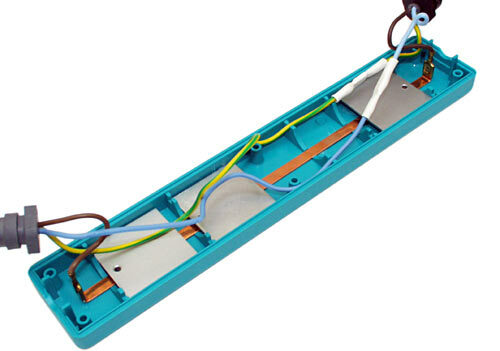 ...with some busbars in it, the busbars only being connected to power at one end, and the inside of the box provided with some mysterious ceramic coating and "conductive plates" that aren't electrically connected to anything. Conventional electrophysics says that this box, plugged in parallel with household mains power, will do nothing. It's not even part of a circuit. You allege that you have real evidence that it's a power saver. 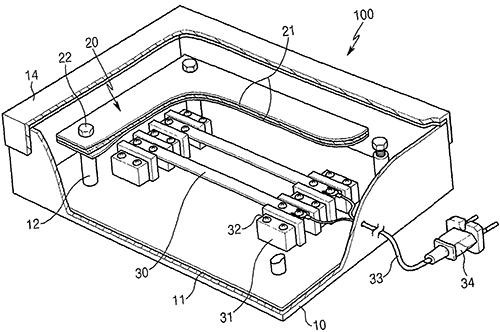 So now all you have to do is send these patented boxes to universities, technical colleges and appropriate governmental bodies until someone takes notice, and then here comes all that money and that definite Nobel Prize, for the staggering discovery of how "rotating electromagnetic waves" make the magic happen. You'd think that in the several years the Keseco device has been around, they'd have managed to do this. But instead, just like every other magic power saver or magic gasoline pill, the devices are sold piecemeal to whatever end-users can be persuaded to buy one. Electrical components that aren't connected to anything are strangely popular in scientifically... novel... devices and talismans. ...are three aluminium plates that aren't connected to anything. ...is similarly electrically innovative. And now we've got this Keseco box-of-nothing, too. Energita sell a few other odd devices (machine-translated English version). This power-monitoring system (translated) seems kosher, as do these light bulbs (translated), and I think this gadget (translated) may be OK too; it seems to be some sort of improved thermostat for freezers. But then there's something called a "Fuel Activator" (translated), magnetic fuel improvers (translated) and, of course, the Keseco doodad (translated). I'm never sure what to think when someone who sells these sorts of products remonstrates with me. I presume they quite often, especially when they're a reseller instead of the originator of the product, actually believe what they're saying. They're seldom abusive or clearly mentally peculiar. There but for the grace of critical thinking, I suppose. 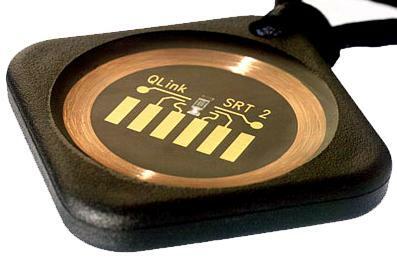 The new model of Q-Link does away with the fiction of a transistor entirely. It's all quantum psychoceramics. That review is perhaps the greatest thing I have ever written in my life. There's been some pretty heavy advertising on local radio here in Adelaide for some 'power factor correcting doo flicky' (my words) that is claiming to save you money on your electricity bills. I'm pretty sure it's the old chestnut that doesn't apply to home electricity users, but with the ads being spoken by the radio personalities and seemingly legit I'm sure they're selling a few units. Why isn't the ACCC cracking down on these in the same way it did powerbands (the rubber bracelets) and other quack devices? Just wish I could remember the URL or product name so they could be publicly named and shamed. Now now, rotating electromagnetic waves do exist, whether you prefer simple circular polarization or the more exotic orbital angular momentum. The devices for manipulating them can even look preposterous. They do not, of course, magically make empty boxes into power-saving devices. @Alex - I am compelled to ask, since you present yourself as an educated man in the review, stating you use "quantum mechanics for eight hours a day five days a week", and even better, you read Dans Data; what on earth possessed you to buy such a thing? There are genuine medications for migraine that work. I myself am a migraineur, and I use tryptans to excellent effect. I would never buy a piece of pseudoscientific crap like this for anything but entertainment value, and the value of this one is not enough to justify the rather high price. It may be worth $2USD for a piece of kids jewelry. Yeah, I thought of that, too, but decided to round "less effect than plugging in an extension cord with nothing on the end of it" down to "no effect at all" :-). Without that, the plate isn't an effective shield. If it isn't shielded, it radiates EM waves. Which means it could give you cancerous brain tumours- just like a toaster or an electric stove element. Mobile phones? Tip of the iceberg. Provided they don't detect our sarcasm, I think this would stir up the money-grabbing rascals nicely. mlipphardt: Amazon does a scheme called the "Amazon Vine" that provides a few thousand (perhaps tens of thousands) of highly-ranked reviewers products for free, first-come-first-served, in exchange for reviews. Normally, they only provide me with books and DVDs. One day the Q-Link appeared as one of my options, I had a vivid flashback to Bad Science, and I stabbed the "order" button like my life depended on it. OK, I heard the ad on the radio again Yesterday... V-Phase is the name of this new miracle box. Supposedly it's more than just an empty box however because it claims to regulate your electricity to 220V which is meant to somehow save you money and make appliances last longer. Incandescent heaters do last longer if they are given a lower voltage (they also don't produce as much light) so lowering a 230 V (or even 240 V) supply to 220 V could save you a very small amount of money if you're still using those things (but considering how cheap those things are you aren't even likely to make back what you spend on the voltage regulator). « You have money you didn't know about! Give us some of it!